The Nokia 8 Sirocco is a waterproof curved glass Android flagship phone. The device is powered by Qualcomm’s 835 processor, 6GB of RAM, and 128GB of storage. On the front is a 5.5-inch pOLED display with 2560 x 1440-pixel resolution. It sports the same dual camera lenses on the rear than the Nokia 7 Plus and comes with an 84-degree front-facing camera. The smartphone has a 5.5” pOLED display, featuring a 2560×1440 resolution and a 16:9 aspect ratio. The front consists of 95 percent Corning Gorilla Glass 5 and a stainless steel frame on the side. Under the skin the N8S is powered by a Qualcomm Snapdragon 835 SoC with up to 2.45GHz. The Sirocco does feature 6GB of RAM, which is 2GB more than the Nokia 8, and it also has twice as much storage at 128GB (UFS 2.1). The dual rear camera of the Nokia 8 Sirocco has a 12-megapixel sensor (1.4µm, f/1.75) sensor and a 13-megapixel lens (1.0µm, f/2.6), both with Zeiss optics, and paired with a dual-tone LED flash. The front camera of the Nokia 8 Sirocco features a 5 MP (1.4µm, f/2.0) sensor capable of recoding videos with up to 1080p. The premium phone is water and dustproof (IP67 certification). The integrated battery has a capacity of 3260mAh. It is also supporting wireless charging. Thanks to Quick Charge the N8S can be charged to 50% in 30 minutes. Connectivity is comprehensive, with a USB-C charging port, dual-band Wi-Fi, GPS, NFC, and Bluetooth 5.0 and ANT+. Three integrated microphones provide up to 24-bit, 132db high dynamic range audio recording. Android 8.0 Oreo comes pre-installed on the Samsung Galaxy S9 rival. Order and buy the NOKIA 8 Sirocco now at CECT-Shop.com! habe das Nokia 8 täglich im Einsatz bei der Arbeit. Es ist eine wahre freude damit zu telefonieren, mailen und zu surfen. Alles blitzschnell und übersichtlicht verfügbar. Fotos lassen sich auch prima damit machen. Nokia ist ein zuverlässiger Hersteller für gute Smartphones! Das Display hat eine sehr scharfe und unglaublich gute Auflösung. Die Leistung von CPU und RAM sorgen für eine schnelle und flüssige Bediengung des Smartphones! Die Kameraqualität ist hevorragend, auch von der recht schwachen Frontkamera. Die Verarbeitung ist sehr hochwertig und Gut! Der Akku hält sehr lange und lässt sich problemlos wiederauflanden durch die Qi Wireless Charging Nokia liefert wiedereinmal ein absolutes Top Smartphones mit sehr guter Qualität! Kurz und bündig, einfach tolles Gerät und hat meine Erwartungen voll übertroffen. Absoluter Preis-Leistungskracher. Wer Google Nexus Geräte kannte ist hier fündig geworden. Pures Android mit alltagstauglicher Hardware ohne Bloatware. Hello! What questions do you have? We've had questions from Hannah on 15. 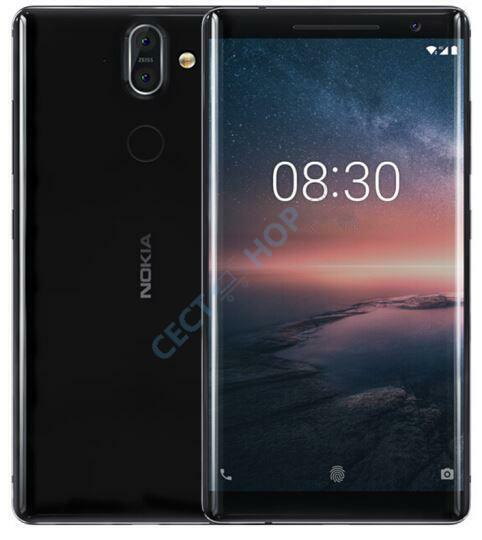 May 2018 concerning the Nokia 8 Sirocco which we answered one day later. We are looking forward to hear from you soon, thanks in advance and have a nice day. 1. Without Google Play, how can you transfer data from a Google phone to this device? 2. Is this really a dual SIM version? In which case, what is the model number/variant? 3. Does it work in Europe? Dear Hannah, thank you for your message and inquiry. You can either transfer data by simply using Bluetooth. Another option would be OTG or connect the phone with a USB Type-C cable with a PC and copy the files/data you want. Usually, you can also download and install Gapps, like the Google Play Store, using the website Apkmirror. 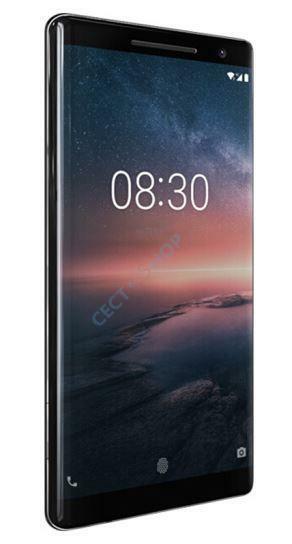 The Nokia 8 Sirocco is model number TA-1042. You can insert one Nano SIM card into the Nokia 8 Sirocco Android phone. Certainly, the smartphone works in Europe. It i.e. supports 4G FDD-LTE B1, B3, B7 and B8. If you have further questions do not hesitate to contact us again. Thank you for shopping with us, your CECT-Shop team.